The topic of a green economy may have started out slowly, but it has picked up speed exponentially and is taking off in an explosive manner. Every area of industry is now focused on adding their name to the participation of a green economy and this is anticipated to generate a global job increase of over three million jobs. When we think of a green economy, there are a lot of pictures that may come to mind. However, the concept of going green has entered the mainstream on a number of levels. Industry growth around the globe is being projected to add nearing: 250,000 jobs in green building, 225,000 in residential energy auditing, 180,000 in renewable energy, 330,000 in commercial energy auditing, 200,000 in energy infrastructure, and 200,000 in other green related industries. Just in the subject of green building in the U.S., we have an enormous amount of opportunities for certifications for such areas as: commercial, single-family and multi-family building analysts, heating specialists, air conditioning and heat pump specialists, general building energy technicians, weatherization installers, energy auditors, quality control inspectors, retrofit installers, crew leaders and theromography specialists. In solar alone there will be openings for certified: geothermal installers, solar thermal installers, solar finance and solar energy specialists. Commercial companies have been the first to jump into concept of green building with recognized savings and return on investment arenas that not only pay for themselves but offer incredible savings over the lifespan of the investment. With the advancement in technology and the reduction of costs, residential construction has now entered the fray to offer not only new home buyers the same savings momentum, but existing homeowners with retrofit and upgrades. The technology companies that are developing the products for green building have adopted an understanding that the right features, products and prices can catapult their success into a international popularity. Posted on May 27th under Global Ecology. 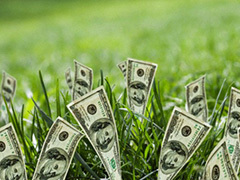 How much time must pass before the governments of the world realize that a green economy will be a benefit for everyone? There seems to be meetings, conferences and agendas on an international scale, but no one is listening. Looks like this subject is being treating the same way our own corporate officials handle things: lots of meetings, no one taking anything as action items and it anything goes wrong they aren’t accountable and look for a ‘fall guy’. lots of meetings, no one taking anything as action items and it anything goes wrong they aren’t accountable and look for a ‘fall guy’. I have been waiting to see this day happen for years. Unfortunately, it’s not moving fast enough. We’ve got the technology and maybe, we have the global interest. America needs jobs badly so I am mystified as to why this isn’t a top priority. We’ve been warned for the last thirty years. If we don’t make changes in the way we develop energy, we will have tipped the scales beyond repair and humanity will suffer. Over millennia, the earth will overcome the damage we have done. Sadly, human beings and many species will not be around to see it. Green energy is the best hope that we have, that is, if we decide to act upon it, instead of just talking about it.